Chocolate brown leather with a firm feel and deeply grained texture, this handsome tote bag would be at home on any shoulder. It has a large front pocket and a convenient cell-phone pocket in the roomy interior. A sturdy leather closure-strap feeds through a loop accented with a carved-bone Peace sign and secures on the front pocket with an antiqued brass button stud. 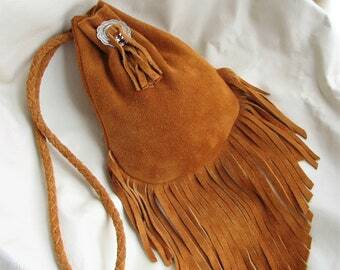 The bag measures about 10" (25.5cm) x 12.5" (32cm) with a side width of about 2" (5cm). The welted handle-straps are reinforced with strong woven rope sewn inside and measure an arc of about 19" (48cm) above the bag top, allowing it to tuck securely under your arm or hang comfortably from hand or forearm. Rivets are solid brass with an antiqued finish. 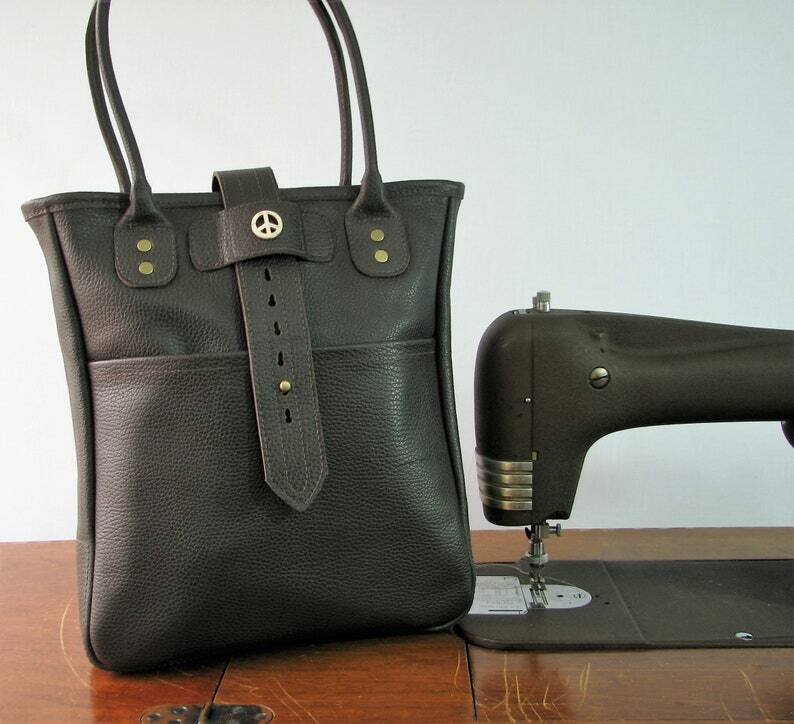 All stitched stress-points are reinforced for strength and the bottom is double-thickness - this bag will carry your books, tablets or small laptops, bundles or market purchases with style! Please note - the mannequin is for display only, not for scale or sizing. Please rely on the measurements provided for purposes of size.